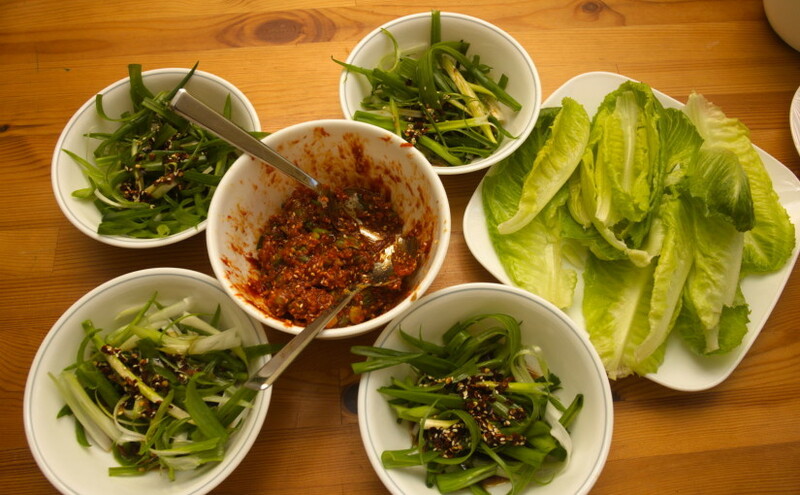 Following a recipe for Samgyeopsal-gui at http://www.maangchi.com/recipe/samgyeopsal-gui I made the pork belly, Scallion “salad” and dressing, and the ssamjang (spicy soybean paste). I also followed a different site’s recipe for Seafood pancake sauce. The side dishes (like the Kimchi) were bough pre-made.